NY: Harper and Brothers. Very Good with no dust jacket; Boards rubbed.. 1942. Later Printing. Hardcover. xi, 273pp. Green cloth. The author relates his research and personal experiences in improving his terrible eyesight in this collection of essays and feels that opthamologists rely too much on physiology and not enough on the processing of visual information by the brain in treating vision problems. ; 8vo 8" - 9" tall . West Nyack, NY: Parker Publishing Company. Very Good in Good dust jacket; Jacket tattered.. 1971. Sixth Printing. Hardcover. Many photos of bare feet. 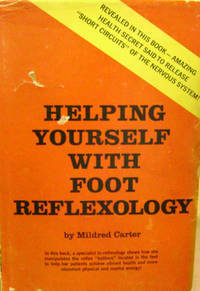 The author asserts that reflexology is a scientific technique that can cure disease and reverse arthritis by the massaging of various zones on the feet, releasing healing forces through various footbone-connected-to-the-Xbone body pathways. ; 8vo - over 7¾" - 9¾" tall; 190 pages . New York State Department of Health. Very Good; Cover lightly worn, "253" penciled on front cover.. 1950. Softcover. Printed stapled wraps. Inside front cover filled in with vital statistics for baby Keaton born at Ellis Hospital in Schenectady, NY in 1952. 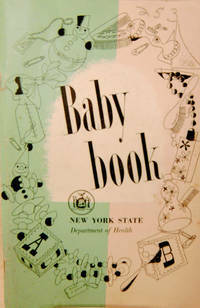 An illustrated introduction to baby care given to new parents by the New York State Department of Health in Governor Thomas Dewey's era. ; 8vo 8" - 9" tall; 48 pages .